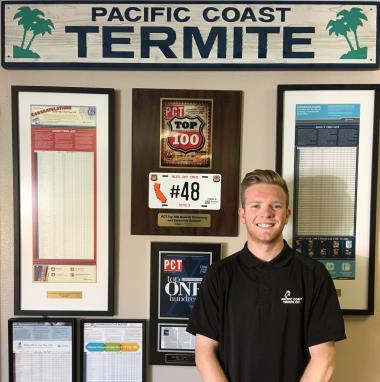 When quick and thorough termite control in Laguna Beach is what you need, Pacific Coast Termite will help you achieve it fast! Inexperienced, slow, or unthorough termite inspectors or technicians. Extensive pre-treatment preparation or evacuation from your home during termite treatment. Highly trained, effective, efficient, and friendly staff. Experience performing over 50,000 non-tenting termite treatments in California since 2007. Expertise using XT-2000 Orange Oil Plus™ and other eco-friendly non-fumigation products. Established, effective, and comprehensive process. Pacific Coast Termite uses a 4-step process to make sure termite infestations are not just eradicated in the short-term but stay away for good. It’s easy! We’ll walk you through each step. Call us at 714-450-1250 or contact us online to schedule a termite inspection. Over time, termites may be causing more destruction that you even realize. Don’t wait! Let us help you before any termite infestations or damage to your Orange County property becomes worse.